Located in Northern Greece Thessaloniki, the beautiful “bride of the Thermaic Gulf”, as it is known, is a city unlike anywhere else in Greece. Its history is written in every step you take and every corner you visit, The Thermaic Gulf, The White Tower, Aristotelous Square, Ladadika, Tsimiski avenue and the Old city. Being a meeting point for thousands of years for people from different nations and cultures turned this city into a multicultural center. First stop…the White Tower! 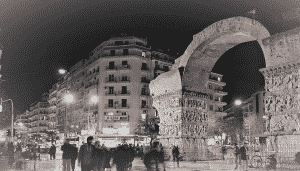 Once you reach Thessaloniki is the first and last thing you should visit during the day or night. Strolling by the sea or enjoying the stunning view from the White Tower will impress you the same. In your long city walks definitely check out the Triumphal Arc and the impressive Rotunda, as well as the Byzantine Culture museum and the Archaeological museum and don’t forget to visit also smaller museums such as Ethnographic museum and Teloglion Foundation of Art. 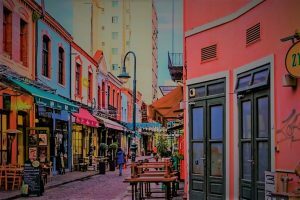 Ano poli, one of the oldest districts of the city, is always a good choice if you love to discover narrowed old paths, castles and admire the great view of Thessaloniki from above. Nightlife is also one of the advantages of the city, which is able to satisfy all tastes and styles. From high-end restaurants and historic eateries to ouzeris and smaller taverns, from historic cafes to cozy bars, clubs and music venues, Thessaloniki is here to offer you the most unusual experiences ever. Follow trends and locals to their favorite places and be ready to explore some of the hidden treasures of this city. 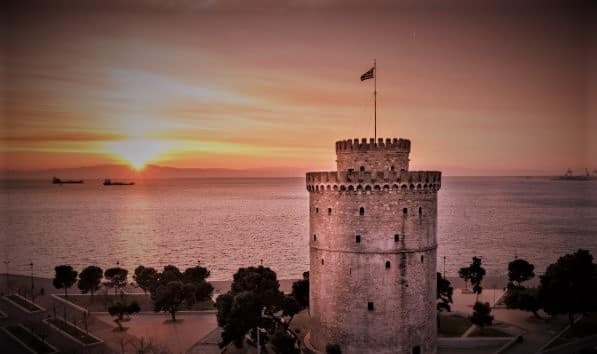 Thessaloniki is always a good option and always will be, especially in summer as it offers to the visitor many different activities and don’t forget that is only one step from Chalkidiki. 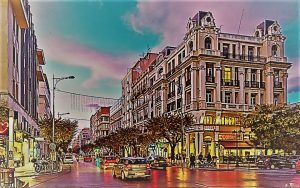 Transfer Thessaloniki is here to help you discover this beautiful city or to transfer you from Thessaloniki Airport to the city center. Your transfer is our pleasure!